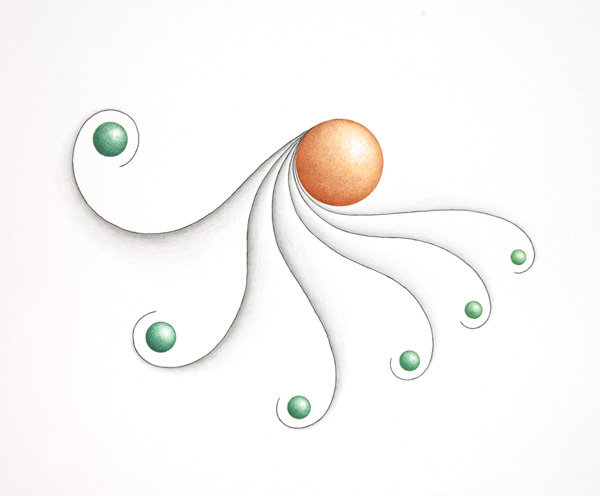 Continuing the “Lines & Dots” Posts, as I prepare the format for a new project, this one is entitled “Orange Sphere, Green Sphere’s”. This one is minus the Dots. love your work.they would make nice blank greeting cards.like they have at Trader Joe’s. Thanks Jamie, not a bad thought, I will have to visit a couple of places that sell ‘art’ blank cards and consider what I have. Thanks for the idea. when and where the next artshow? The next Solo Exhibit of new work will be at the conclusion of the planned two year project (entitled 12 + 12, 12 x 12’s) which starts posting weekly (Monday evenings) Feb. 29th. Other group and solo exhibits featuring existing works of art with be posted as they are scheduled. Current is a group Exhibit at Laughing Pint Tavern, Baltimore, MD till March 4th. Next is a group Exhibit at HIVE artspace, York, PA starting/opening 1st Friday in February. Thanks for your comment and interest (b)ananartista.